I prevent accidental outgoing calls with this! Also, I do not originate a call by pressing the wrong button when the children are playing in the smartphone! ! Okay even if you press the wrong button calls ♪ also recommended for those who are frequently used apps free calls (Skype, etc. Line) a! 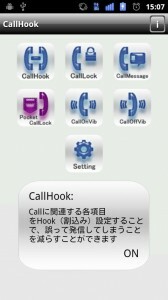 By Hook set (interrupt) the portion related to the Call, this application can be reduced to be in the erroneous operation would originate a call. You can set whether or not to use the app by the CallHook ON · OFF button on the main screen. 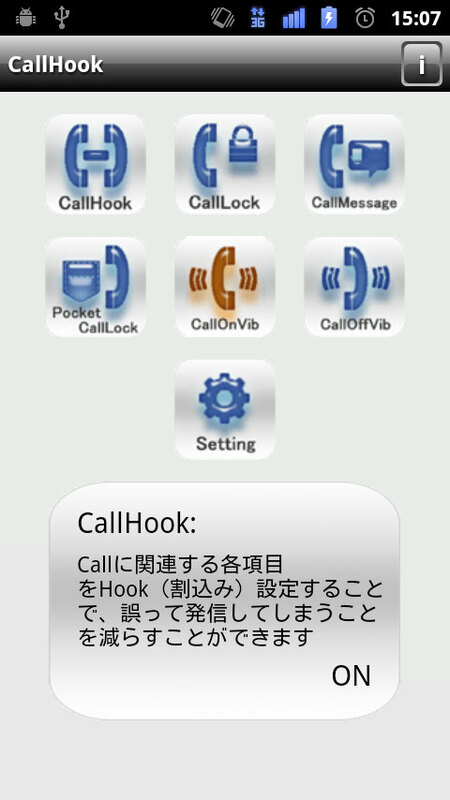 By the CallLock ON button on the main screen, we can not call you to lock the phone call itself. Also you can set to not lock by registering · ON the specified number. 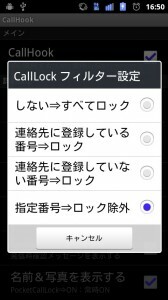 Mark is displayed to people CallLock button on the main screen in the registration list screen → “exclusion ⇒ specified number lock” → Settings → CallLook filter settings screen. 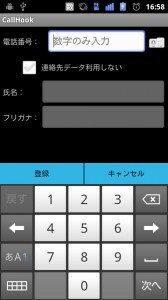 ※ list screen appears when you press and hold. 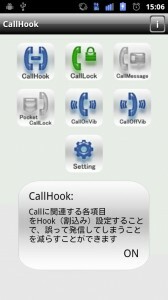 By the CallMessage ON button on the main screen, you can be sure to display destination information before outgoing phone calls. 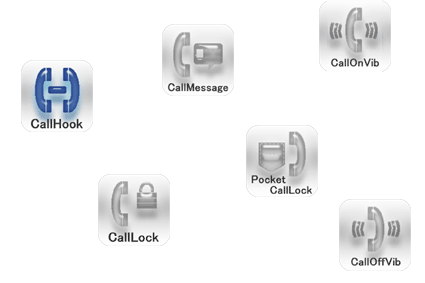 By the PocketCallLock ON button on the main screen, you will be able to lock the sending of a compact part, such as in a bag or pocket using the neighboring sensors, to reduce the outgoing mistake. 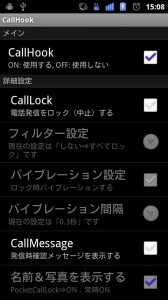 ※ You may not be able to lock the sending by the sensitivity of the proximity sensor. 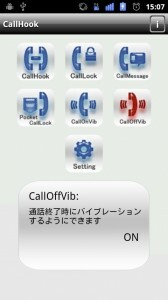 By the CallOnVib ON button on the main screen, you will be able to vibrate at the start of the call. 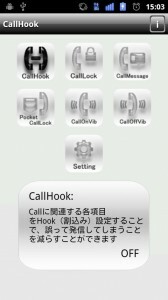 By the CallOffVib ON button on the main screen, you will be able to vibrate at the end of the call. You can make detailed settings for each service configuration screen from the Setting button on the main screen.